To me, nothing says spring like wild garlic. We spend about 6 weeks every year eating it in some form or another - pesto, in salads, on pasta, with nettles, in soup. We eat so much that vampires would keep a wide berth. I have been planting a few bulbs every year in a shady corner of the garden, dreaming of the day it takes over. For now though, I tend to pull over as soon as I see it and fill every bag I can find with the leaves so that I can use it with abandon. 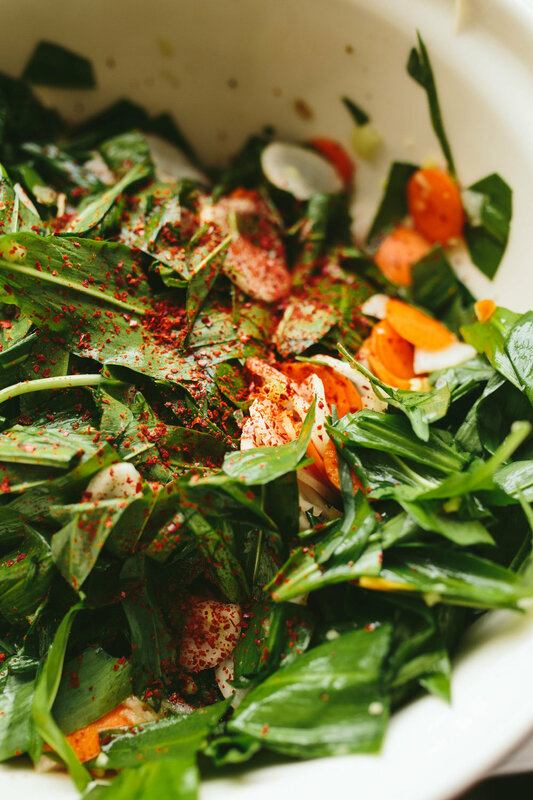 Wild Garlic and Kimchi are two of my favourite things and this recipe does not disappoint. I may have eaten it for every meal since it was finished!! Using a mandolin or a veg peeler, finely chop your radish and carrots. I use an attachment on my food processor. Place them in a bowl and sprinkle the salt over them. In the food processor, blend the onion and the ginger until they are very finely chopped. Add the onion and ginger paste to the carrot and radishes. Add the wild garlic and chilli powder. Using your hands, mix the vegetables thoroughly, squeezing the mix to release some of the juices as you go. Pack the mix into a clean jar, packing it in tightly as you go. Juice should release and cover the veg. 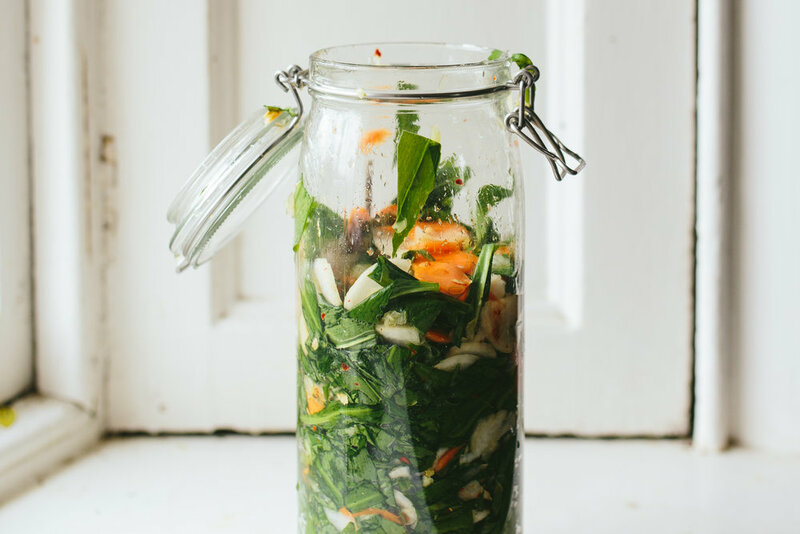 When you have the whole mix in your jar, weigh it down with a fermentation weight or a cabbage leaf. You want to be sure your vegetables are not exposed to the air as this is where mould can form. Cover loosely with a lid. I like to use a kilner jar with the rubber seal removed. If the lid is tight, you will need to “burp” your jars every day. Let ferment for about 5 days on the counter and then do a taste test. Once it has fermented to taste, store in the refrigerator. 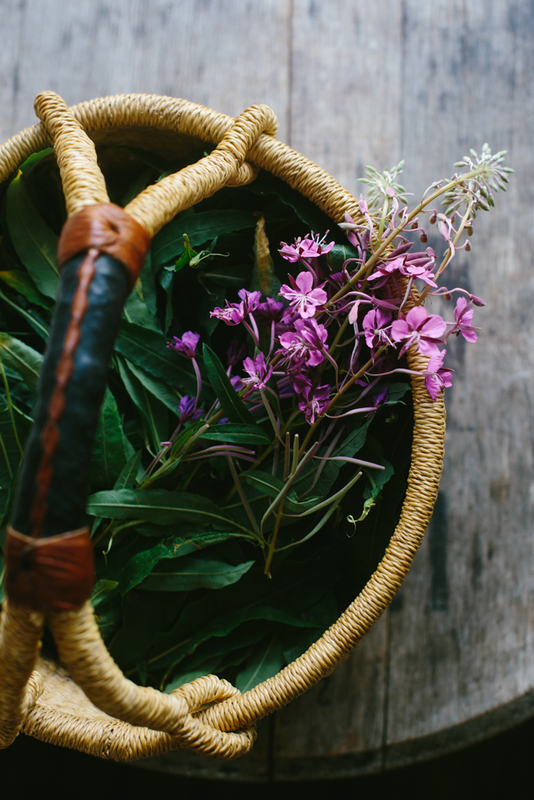 A few months ago when out with the dog, Kevin and I were chatting about our upcoming foraging workshops and he mentioned that he had read something about using Rosebay Willowherb as a tea. I'd never heard of it before, but a quick google and a deep dive into some of my older herbology books showed that he was indeed correct. Rosebay Willowherb, known in North America as Fireweed, is a tall perennial, easily recognised by its purple, almost flame-like, flowers. It favours waste ground and is a first coloniser plant, so is often seen on roadsides, plantation forest edges and disused building sites. Its American name comes from its colonization in fire-disturbed areas. The tea, called in some places Ivan Tea or Koporye Tea (after the area of Russia where it originated), used to be an alternative to Chinese tea. 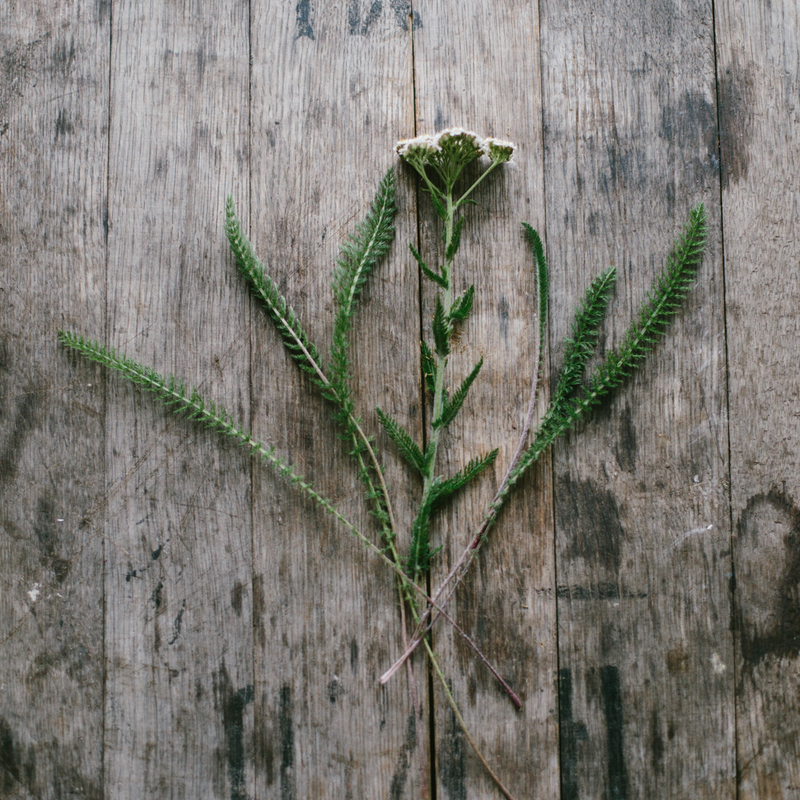 With willowherb's nature of growing in disturbed or unused ground and its spread all over much of the Northern Hemisphere, it was a cheaper alternative to 'proper tea'. While it doesn't have caffeine, it is oxidised in the same way that black tea is - letting fermentation make its magic to create a deeper, more fruity flavour. It isn't caffinated and has become my bedtime drink. Apparently you can also eat the young shoots like asparagus, so I am looking forward to trying that next year. I've done a few batches of the tea now and I am finding the whole process so magical, on top of having a great tea - there is this moment on about day 2 of fermentation when all of the sudden the smell of the tea changes from grassy and green to deep and fruity. It is such a rewarding process and you get a good amount of tea, quickly...always a bonus when foraging. The leaves are best foraged when the plant starts to flower. They have quite a long flowering season, so its nice not to have to rush about collecting all of it at once. You want to simply pick the leaves, leaving the flowers for pollinators. You can do this quite quickly by grabbing the top of the stalk under the flowers and sliding your other hand down, stripping handfuls as you go. 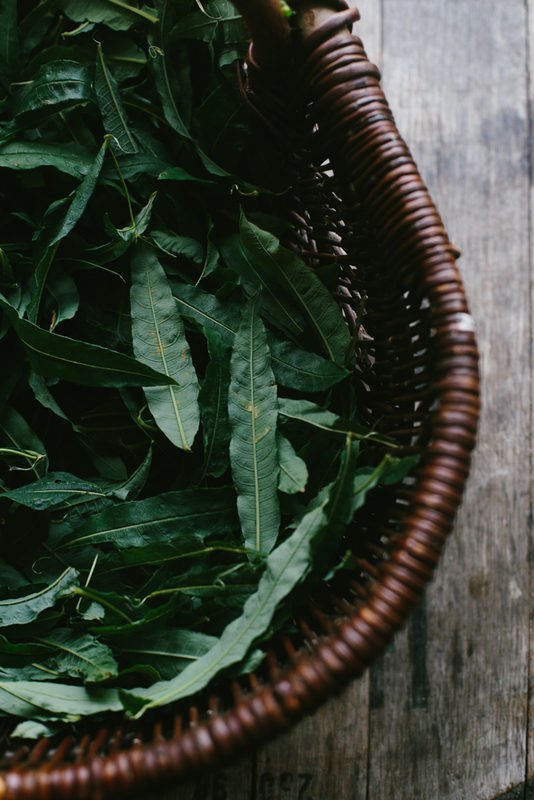 Once you have the leaves you need, simply leave them in a cloth bag or basket overnight to wilt. This helps start the oxidation process. After they have wilted, you will take a few at a time and roll them to help move on the fermentation. Then pack them loosely into a glass container for 2-3 days. Once they start to smell fruity, make a cup to check you are happy with the flavour. 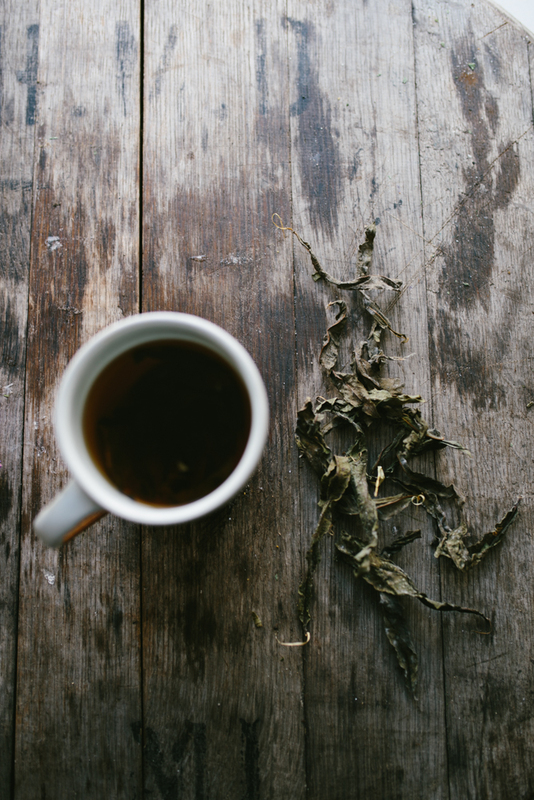 Add a few leaves to hot water and steep like you would any other herbal tea. If you are happy with it, then you need to stop fermentation by drying the leaves. I simply emptied my jars onto baking trays and dried them in a low oven until they were completely dry (about 20-30 minutes). For added visual effect, try drying some of the flowers along with the tea. Store in a sealed container. The taste improves over time, so letting it rest a few weeks will enhance the flavour. 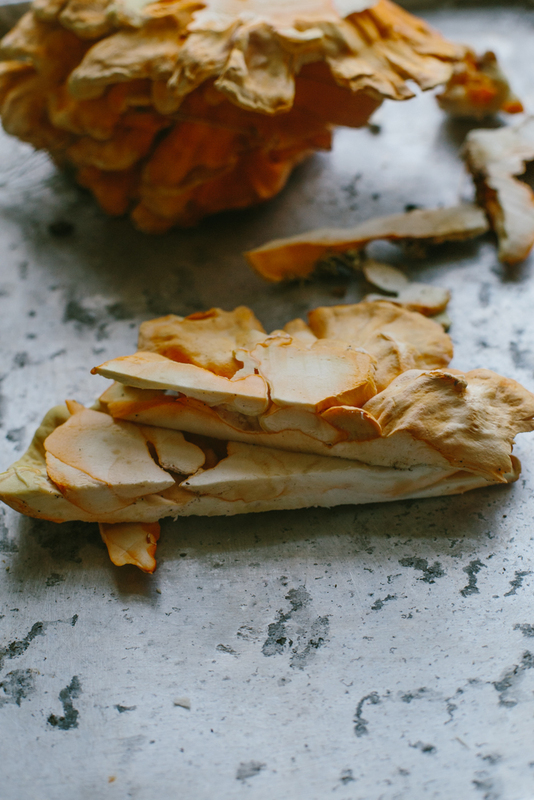 Chicken of the Woods is one of those treasures of a wild mushroom hunt. Its tasty, easy to identify and there is a lot of eating on them when you do stumble across one. It gets its name from its chicken like taste and texture, and not in the usual way every protein of an unknown origin 'tastes like chicken', this mushroom really does. When identifying mushrooms, always check with at least 2 sources before ingesting. If you have doubts, don't eat them. Even mushrooms that may be considered safe to eat, can still cause poor reactions in some people, so be aware. Also the general advice is to always ensure that your mushrooms are well-cooked before eating as this helps to neutralise any potential toxins. Chicken of the Woods is one of those mushrooms that once you identify it clearly the first time, its hard to mistake for anything else. In the UK at least, there are very few mushrooms that can be confused with it and those that can, the Dryads Saddle or the Blackening Polypore, are both safe to ingest (and really don't look much like it any way). It is a bracket fungus that grows mostly on oak trees, but can be found on other hardwood and yew trees, so will be found without a stem, growing in a clump off of a tree or stump and it does not have gills. As a young mushroom, it starts off apricot in colour and then fades to white as it ages. Like most mushrooms it is best eaten fresh and can be frozen, but this does change the texture. Fresh, my go to recipe is the same for all wild mushrooms, fry in lots of butter with garlic and finish with a bit of creme and thyme. However, you an harness that chicken-like nature and use it in recipes that call for chicken. We've made tacos, stir fry and pasta with our mushrooms and all were lovely. 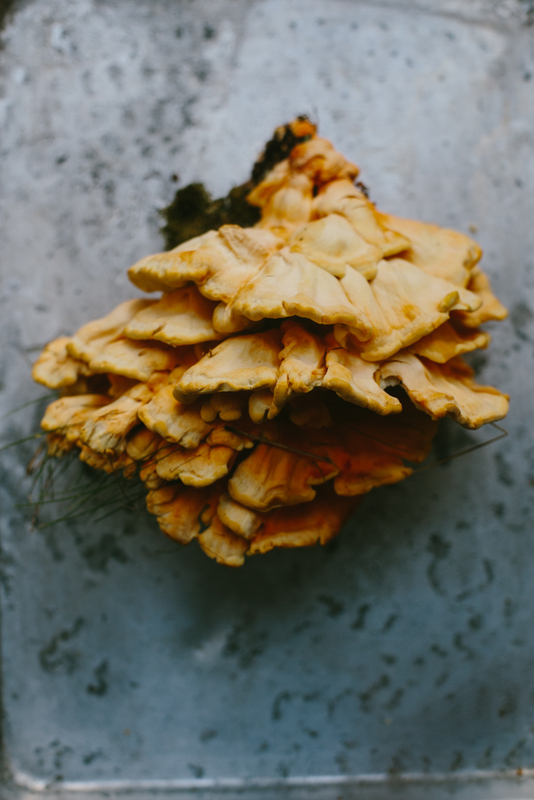 This recipe for fried chicken of the woods was inspired my my friend Jeni who loves to batter and fry all the things. I simply brought my love of fried chicken to the mix and even the kids couldn't get enough. 2 cups of crushed corn flakes (if you want to substitute bread crumbs here, do, but corn flakes really do give a superior crispiness to the batter). Clean the mushroom, ensuring you remove all tree bark from the mushroom, especially if it was found on a yew tree. Cut off any dry or flaking bits at the edges and slice into pieces roughly 1cm thick. Mix up the brine and let the pieces soak for about 5 minutes while you mix up the batter. Add all the ingredients for the batter to a bowl, except the corn flakes. Mix into a smooth, thick batter. Crush the cornflakes and place in a shallow pan. Remove the mushrooms from the brine and pat dry. Dunk each piece individually into the batter, then coat with bread crumbs. Heat about 1cm of oil in a frying pan. Working in small batches, lightly fry off the breaded mushrooms, roughly 2 minutes each side to seal. Serve with garlic mayo or in a wrap or taco.